Himalaya's Moisturizing Aloe Vera Face Wash is a soap-free formulation that replenishes lost moisture from your skin after every wash, eradicating dry and stretched skin. It is enriched with Cucumber, an excellent toner as it immediately tightens open pores. The abundant antioxidants in Cucumber rejuvenate the skin, making it soft and smooth. While Aloe Vera, exhibits antibacterial, antifungal action and hydrating, softening and intense moisturizing properties. 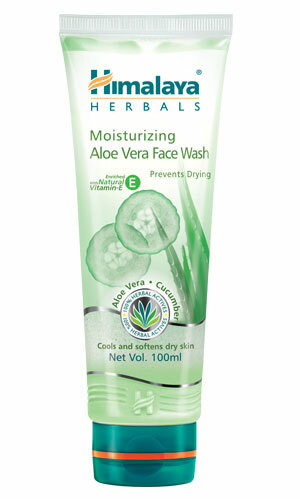 Our Moisturizing Aloe Vera Face Wash combines natural ingredients to cleanse your skin, making it fresh and glowing.